Experience the satisfaction of being a volunteer for a very good cause! We desperately need extra hands to sort food donations. We have regular work for volunteer teams and individuals alike. We need people to work from 9-1 during our regular hours, or groups can designate a time after hours to come in and go to work. Thanks to your generosity, more than 5,000 pounds of food and $3500 has been donated to the Valley View Community Food Bank during the 2017-2018 Season. Thank you for helping to support the Food Bank to help the needy in our communities! was founded in March 2007 and incorporated in April 2007. 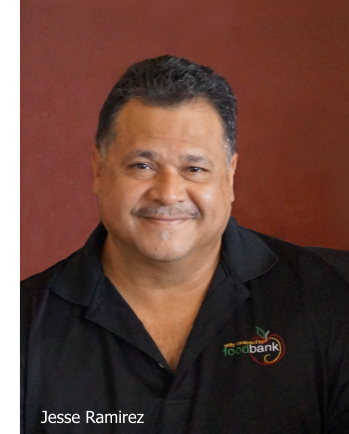 Founder Jesse Ramirez served at the West Side Food Bank for 21 years as Manager of Voluneer Services. We provide emergency food boxes, a gathering place for music, meals and fellowship, and a resource center for people needing help with utility bills. We also have a terrific thrift store where you can find a variety of treasures. We gratefully accept and appreciate your donations of useful items, from a previously loved hat to a no longer needed washing machine. We have a truck that will come to you and pick up large items for free, at your convenience. If you come to help out on Saturday mornings between 9 and 11 a.m. you get to hear the Surprise Pops Band practice while you work.